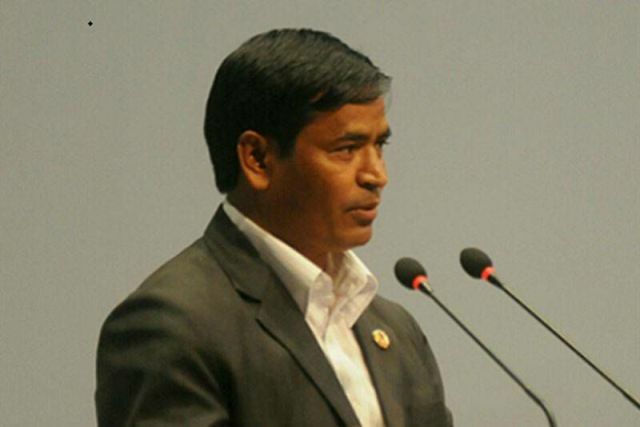 Bhaktapur – Chief Minister of Karnali Province, Mahendra Bahadur Shahi, has said that carrying out activities by provincial and local government crossing the constitution was a wrong practice. Speaking at a programme organised by Rafat Sanchar Club here today, Chief Minister Shahi said that the assembly of chief ministers of all provinces held in Pokhara was not properly timed. He said that the provincial governments have not been able to carry out activities as per its expectation as federalism has not been implemented in practice, saying various complexities have surfaced due to this. Chief Minister Shahi added that the provincial government was engaged in mobilization of internal resources, adding that development has not got momentum in Karnali province as the federal government did not send budget required for the province. He said that the Karnali province has restricted the presence of NGO and INGO there.